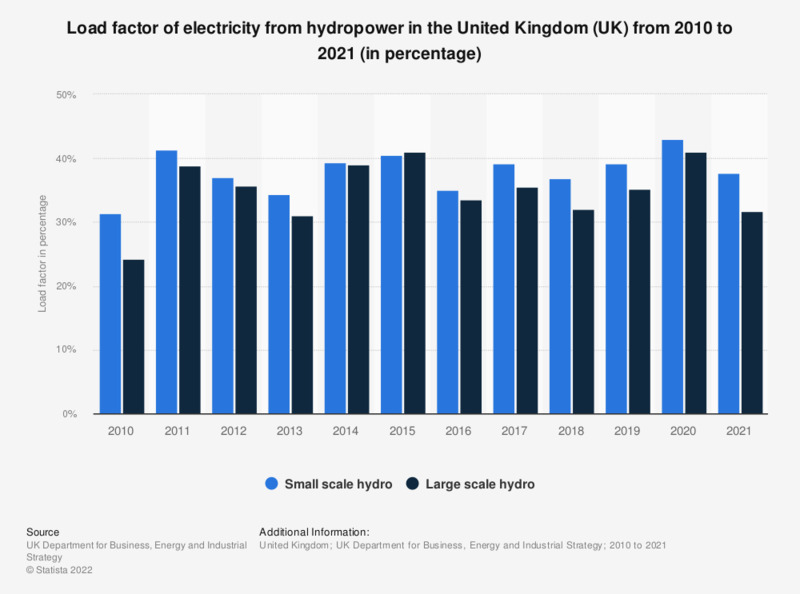 This statistic displays the load factor of electricity generation from hydropower in the United Kingdom (UK) from 2010 to 2017, in percentage. It shows that the electricity load factor from large scale hydro energy increased significantly over this period, from 24 percent in 2010 to 36 percent in 2017. Load factor is based on average beginning and end of year capacity. For further details on the calculation see Dukes 2015 Chapter 6, paragraph 6.24. Load factor is defined as the average load divided by the peak load in a specific time period.